The game is a hybrid between RPG and table card game! ♠ Also each classic suit has been mixed with classical elements (ex. : some clubs cards transformed into wind and ice elements). Literally the only game I had to give all 5s to. I can't believe how good this was. The implementation was outstanding (in Pico8 nonetheless!) and it shows a real understanding of encounter design and balance. This game was absolutely fantastic. I love seeing your opening hand and trying to form a battle plan from that. It really deals with the issue in many RPG-style games where you just do the same thing for every fight. This game is always different and engaging. I really hope you expand this out, it's incredible. I updated the game today with some new visual effects, gameplay ajustments (nerfed stronger enemies HP, but gave them armor, buffed some spells, nerfed plants), and some quality of life improvements (like a button to reset cards). I will expand the adventure next, but it might take a few weeks, I think. I'm bad at this game T_T but I like it. What about each time you play a card you need to draw a new one and then play with that? The game feels nice, good job! I didn't understand what you mean... You can use multiple cards each turn, the game will draw new cards automatically on the next turn. You mean drawing new cards before the current turn ends? ummm, I need to play it again then, because the battles I played show the same cards each turn always. I love the art style. Its super cute! I wouldn't be surprised to see this as something that gets thrown into the app store and blows up. Very nice entry! Another favorite and I also didn't know Pico-8 support mouse controls. I'd like to see more from this one. Thank you! 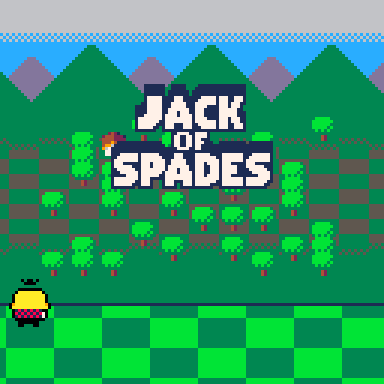 It's an undocumented featured in Pico-8 that was added mainly to support tool development, but in my case I used it to emulate a mobile game! I'm working on a post-jam release and I'm also planning to port it to mobile eventually in case you're interested. I'm working on a post-jam version with more content and rebalanced gameplay! Sure, I'll give it a go! Yeah, the boss fight gives a difficulty spike at the end! **Spoilers** The plant cards are super strong, so if you combine them with the black king and one of the three regular characters, you will have just 2 kinds to guarantee you can use a lot of cards every turn. But you are under the risk of running out of cards if you're not efficient with just 26 cards! I didn't notice your comment earlier. Sure, I'll give it a try! I love the fact that the engine emulates a console cartage! The mix with cards and rpg is awesome! Nice game for the Pico-8. I really like the graphics and the gameplay idea even though it's just a different way of selecting skills in a RPG. I'm not sure how to change the card after you selected one. The only option is to click play. Yeah, there's no turning back after you selected a target. I'll have to add it in a post jam release! Thanks for the feedback! Really nice mix. King fight is really challenging. Cool game. Cute graphics. Some great tunes. I liked it!